Duke City National in Albequerque, NM – May 23-24th 2009. Xzander cleaned house! He took home 4 first place trophies. He won the pre-race on Friday, won Open and Class on Saturday, and Class on Sunday. Xzekiel did great too! He took 3rd in the pre-race on Friday, 8th in Open and 6th in Class on Saturday, and 4th in Open and 6th in Class on Sunday. 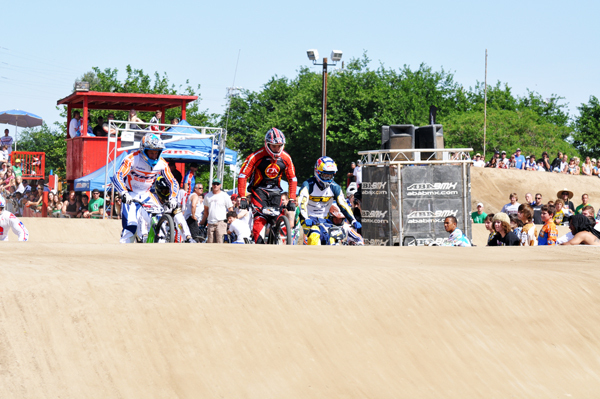 Metro BMX, at Bakersfield CA, May 3rd-4th. 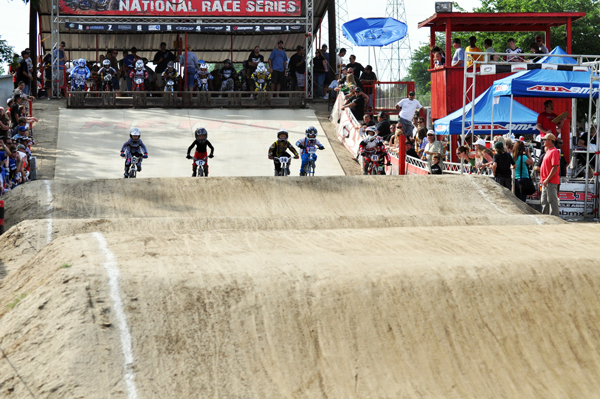 Xzander takes 6th in Open and 2nd in National #1 on Saturday. 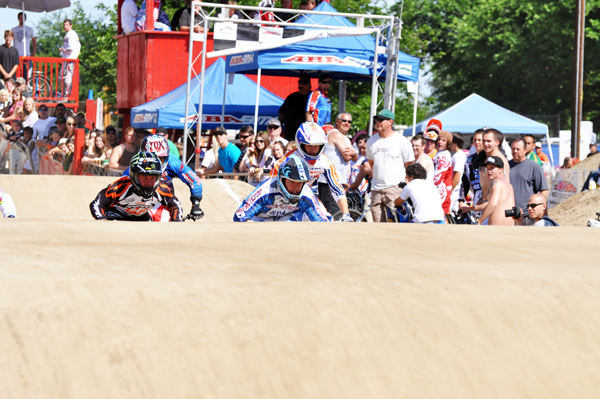 On Sunday, both boys made it to the main in class and open. 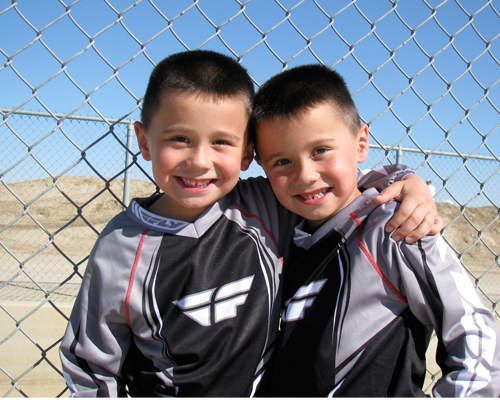 Xzekiel took 4th in Open and Xzander wrecked so he took 8th and in class they got 7th and 8th. Desert Sun St. Qualifier in Tucson, Xzekiel takes 2nd and Xzander takes 4th. Manzenita St. Qualifier in Tucson, AZ, March 2009 – Xzander (30) takes 1st and Xzekiel (27) takes 3rd. At the Chandler St. Qualifier, Xzekiel takes 1st and Xzander 3rd. Winter Nationals at Black Mountain, March 6th – 8th. Xzander takes 2nd on Saturday and 7th on Sunday. After a very long day, Xzander finally qualified for the main! He ended up 8th – not too bad for only having been racing for 6 months! There were 31 kids in the 6 Intermediate class. 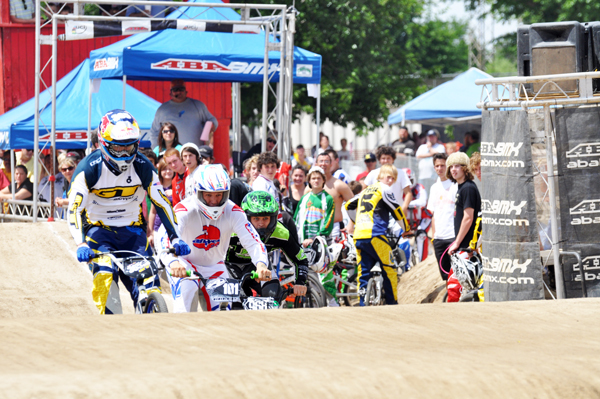 Xzekiel made it to the 2nd round of motos but did not qualify. The boys did great! Xzekiel took 1st and Xzander 2nd! The boys cleaned house at their first National! 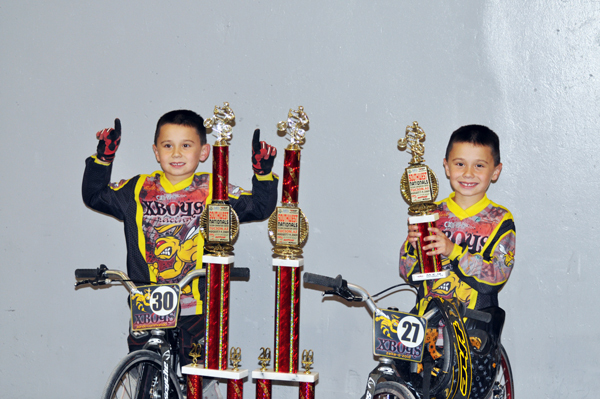 In the 5 and under novice class, on Friday night for the pre-race Xzander took 1st and Xzekiel 2nd. On Saturday for National #1, Xzekiel took 1st and Xzander 2nd. 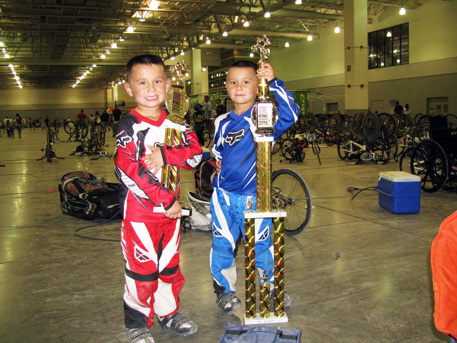 For National #2 on Sunday, Xzander took 1st and Xzekiel 2nd.